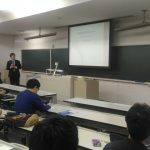 IEICE Hokkaido Section organized the following workshop at Kitami Institute of Technology. For the details, see this page (in Japanese). 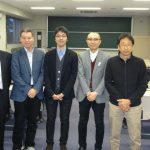 On Oct. 14, a lecture by 太田 寛 様(株式会社 協和エクシオ) was held at Hokkaido University of Science. Click here for details of the lecture.